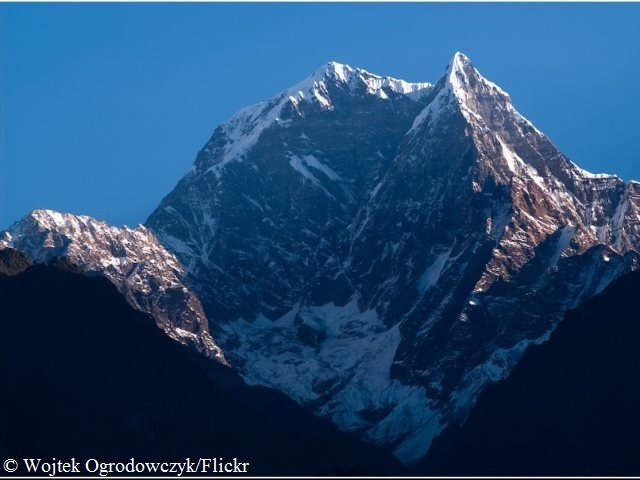 Nilgiri South was first climbed on 10 October 1978 by a Japanese expedition that was led by Kazao Mitsui, the climbers ascended from North via the East Ridge to the top. In 2003, Japanese climbers succeeded in opening a new route via the West Col and the North Face. 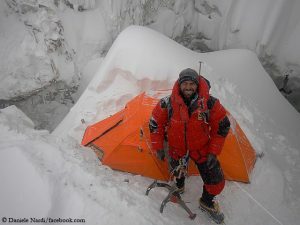 Since the 1980s there have been several attempts by Japanese, Czech and Slowenian climbers to reach the summit of Nilgiri South via the South Face but all failed. 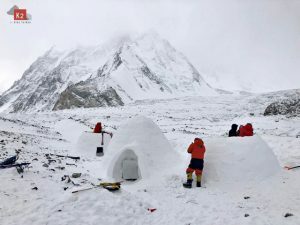 The most successful was the try of the Slowenian team led by Tadej Golob who climbed up to an altitude of 6,600 meters until they were forced back by strong winds, fog and snowfall. The 31-year-old Hansjoerg Auer has made headlines with his free solo climbs like the difficult Fish route through the South Face of Marmolada in the Dolomites. 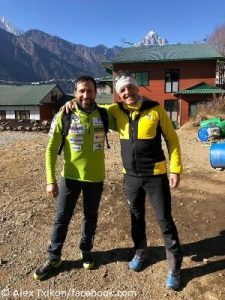 In 2013, Hansjoerg – along with this brother Matthias and the Swiss Simon Anthamatten – first climbed Kunyang Chhish East (7,400 m) in Pakistan via the 2,700-meter-high Southwest Face. 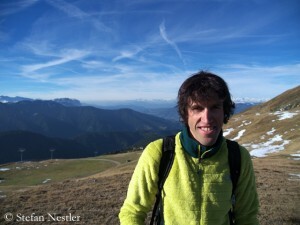 This first ascent was nominated for the Piolet d’Or 2014 but later not awarded. Then Hansjoerg blamed the jury of having dealt “superficially with our adventure”.